Mechanical Attractions — Carnival Times, Inc.
Carnival Times serves the entire KC Metro Area, including Platte City, Kearney, Lee's Summit, Blue Springs, Overland Park, Kansas City, Independence, and more. Just give us a call at 816.569.2855. Remember to check out our Specials page for current savings. Catch the Wave...Real feel surfing action, great for themed beach party & luau events!.. 20x20x12 area required with a dedicated 1~ 20 amp circuit located within 80' of the electrical source. Item is 220 amperage, we provide our own generator. Generator must be able to go outdoors is setting up indoors. Call For Pricing. Up to 4 hrs. Just like Buck Hunter, shoot targets, varmints, boar & more! 10x10x10 area required, a volunteer with electronic gaming skills a plus. Redneck Games includes two attachment the Logslammer & Ripsaw. Up to 4 people can play, all ages! 20x20x12 Area Required. 2 ~ 20 amp independent circuits are required. 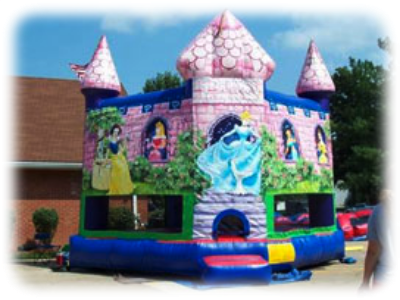 Call For Pricing, Up to 4 hrs, and is staffed by Carnival Times, Inc. Yes, that's right! It's a hog! Have some fun, do something different! This is sure to be a hit at your event. 20x20x12 area required with a dedicated 2 ~ 20 amp independent circuits (not on GFCI reset switches) located within 50' of the electrical source. generator. Generator must be able to go outdoors is setting up indoors. Call For Pricing.Up to 4 hrs. This 2-person challenge is so cool. Now you can dance to the tunes of your favorite Dance Dance Revolution, with Sound Blaster System. 12x12 area required with a dedicated 2 ~ 20 amp circuit located within 80' of the electrical source. While the Vintage booth may look like an antique, it’s actually a state-of-the art digital system. It’s sure to be a hit with each and every guest. 6x6x10 area required with a dedicated 20 amp circuit. Our newest bull! Eyes that light up red, new style with the same great ride! 20x20x12 area required with a dedicated 2 ~ 20 amp independent circuits (not on GFCI reset switches) located within 50' of the electrical source. generator. Generator must be able to go outdoors is setting up indoors. Mechanical Bull! The closest thing to real bull riding! Featured on the Tony Danza Show & at The American Royal!.. 20x20x12 area required with a dedicated 1 ~ 20 amp circuit located within 80' of the electrical source. Item is 220 amperage, we provide our own generator. Generator must be able to go outdoors is setting up indoors. Make a Lasting Impression at your event!..Base deposit covers rental, each bear will be priced at $15 each. White Tshirts are provided, many stuffed animals to choose from. Setup areas can vary based on party needs. A dedicated 20 amp circuit located within 80' of the electrical source.